Aermacchi MB 308 KIT - 1/72 resin: Italian Kits IKW7201. DECALS - 1/72: inside the box. BOOKS - Ali Antiche GAVS 1/1988. Monografie Aeronautiche Italiane nr 71. Notiziario Cmpr 3/2003. Aerofan 100. Aermacchi MB 326 KIT - 1/72 injection: Supermodel 011, 012 MB 326K. Italeri 1308,1334(K). Short run: Aeroclub K012(1989). 1/48 injection: Italeri 2626(ex Esci),2710(K). Esci 4063, 4077 MB 326K(1981). Resin: PD Models(1993). 1/50 injection: Artiplast 017 (1969 ?). ACCESSORIES - 1/72: Aeroclub EJ010 metal seats, V083 plastic tanks. PP Aeroparts metal ladder. RCR S10 p.etched set. 1/48: Aeroclub EJ403 metal seats. Eduard XF220 mask. DECALS - 1/72: Tauromodel 72-501,507,512,518. 1/48: Tauromodel 48-506,511,513, 520. BOOKS - Aerei Modellismo(10/1983). Ali d'Italia vol.13. Ali in Miniatura 8. Monografie Aeronautiche Italiane no.12. Not.Cmpr 2/83. Are you interested in Italian aircraft slides? AEROSLIDES is the website for you. ©AEROSLIDES COLLECTION - ©MODEL PUBLISHING GROUP"Fill the gaps in your collection, join us!" Aeroslides Collection e Model Publishing offrono prodotti editoriali rivolti specificamente ad appassionati di aviazione. Vi invitiamo a visitare il nostro sito www.aeroslides.com dove troverete migliaia di immagini di aerei appartenenti a forze aeree di tutto il mondo, profili a colori di velivoli della II Guerra Mondiale, sezioni per modellisti ricche di foto di dettagli, etc. Inoltre, potrete acquistare immagini di aerei ed elicotteri ripresi su diapositive originali Kodachrome, libri, CD-ROM, illustrazioni artistiche a colori, ed altri prodotti ancora che sono in preparazione. Buon divertimento! Aeroslides Collection and Model Publishing offer product primarily conceived for aviation enthusiasts. Please have a look at our web site www.aeroslides.com. Here you can view thousands of images reproducing aircraft belonging to air forces from all over the world, colour profiles of World War II aircraft, walkarounds showing aircraft close-up views and details, etc. Further, you can purchase aircraft slides taken on original Kodachrome films, books, CD-ROMs, colour artworks and more products we are performing. Have fun! Aermacchi MB 339 A C CD KIT - 1/72 injection: Supermodel 014 MB339PAN,018 MB339A,019 MB339K. Italeri 1297,1317(PAN). Short run: Aeroclub K013, K014(1991). Resin: Alitaliane 72006, 007, 008, 009, 014. 1/48 injection: FreMs 0198 MB339PAN, 0199 MB339A. Resin: PD Models 4806(1994). Skymodels 004(1998). ACCESSORIES - 1/72: Aeroclub EJ015 seat. Vintage 72004 resin conv. MB339CD, 72005 resin conv. MB339C. 1/48: Eduard 48320 p.etched set. Hi Tech 48507 resin M.B.mk.10 seat. Paragon 48034 resin M.B.mk.9 seat. Skymodels 4829 resin M.B.mk.10 seat. DECALS - 1/72: Skymodels 72-009. Tauromodel 72-501,506,507,518. 1/48: Bafra D01. Skymodels 48-012. Tauromodel 48-505,506,520. BOOKS - Acrobazie Aeree(De Agostini). Aerofan 66. Frecce Tricolori(De Agostini). IBN Aviolibri special 4. Monografie Aeronautiche Italiane no.1005. Pattuglia Acrobatica Nazionale(Edai). Scale Aviation Modeller vol.5 n.7,vol.6 n.7. Wing Masters 16. Aviation Collectables Company MB-339A. Agusta 109 Hirundo KIT - 1/72 injection: Revell 4448, 4456. BOOKS - Monografie Aeronautiche Italiane n.69. 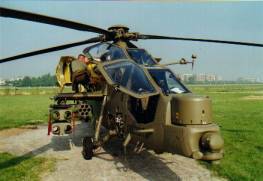 Agusta 129 Mangusta KIT - 1/72 injection: Italeri 006. Resin: Cunarmodel CM010, ItKitsWings (fut/rel). 1/48 resin: ItKitsWings (fut/rel). ACCESSORIES 1/72: Extratech 72141. Eduard XS221 mask. DECALS - inside the box. BOOKS - Aeronautica e Difesa 5/2001(La Cavalleria dell'Aria). Aviazione dell'Esercito(Riv.Militare). Ibn Aviolibri Special 8. 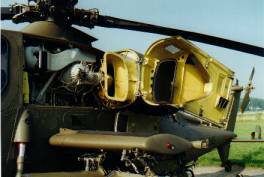 Militaria in detail vol.2:Modern attack helicopters. ModelTime nr 66. AB 47 KIT - 1/700 resin: White Ensign AS7044. 1/72 injection: Italeri 095. Pavla 72005. Resin: Esoteric NAV-6. 1/48 injection: Italeri 857. Resin: Esoteric HTK-01. 1/35 injection: MRC BA102. 1/32: Revell 4402. ACCESSORIES - 1/72: CMK 7019 resin detail set. Eduard 72278 p.etched set. 1/48: Eduard 48309 p.etched set. 1/35: Cobra 35001 resin floats. 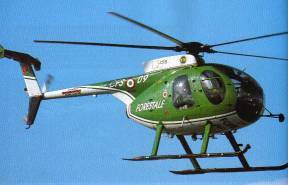 BOOKS - Aviazione dell'Esercito(Riv.Militare). F40 Profile 18. Modeltime n.43. Squadron Mini in action 1606. IBN 1976-96 Vent'anni di Aeronautica Militare vol.1. AB 204 KIT - 1/72 injection: Italeri 1201. 1/48 injection: Academy 1604. Seminar S04. 1/35 injection: Seminar S01. ACCESSORIES - 1/72: Eduard 72195 p.etched set. 1/48: Eduard 4838. DECALS - 1/48: Tauromodel 48-546. BOOKS - Aerei Modellismo(2/1983). Modern Military Aircraft-Huey/Squadron 5006. Not.Ipms Italy 3/2002. Squadron in action 75. UH-1 Huey Squadron in color 6564. IBN 1976-96 Vent'anni di Aeronautica Militare vol.1. AB 205 KIT - Injection - 1/100: Revell 4067. 1/72: Esci 9005, Hasegawa AT12, Revell 4407, 4444. Italeri 1247. 1/48: Amt/ertl 8867. Esci 4029. Italeri 849, 2739. Revell 4452. 1/32: Revell 4421. 1/35: Panda Models. 1/24: Monogram. 1/700 resin: White Ensign AS7029. ACCESSORIES - 1/72: Airwaves 72111. 1/48: Cutting Edge CEBM48393 black magic mask. Eduard 48096, 48292. DECALS - 1/72: Tauromodel: 72-537, 549. 1/48: 48-515, 516, 546. 1/32: 32-512. BOOKS - Aerei Modellismo(2/1983,1/1987). Modern Military Aircraft-Huey/Squadron 5006. Notiziario CMPR 28. Replic 94. Squadron in action 75. UH-1 Huey Squadron in color 6564. AB 206 KIT - 1/72 injection: Italeri 195. 1/48 injection: Astrokit 48101,105. Esci 4061, 4062. Fujimi 30023. Heller 80482. Italeri 2624. 1/32 injection: Revell 4479. DECALS - 1/72: Tauromodel 72-542,557. 1/48: Tauromodel 48-515,516,546,561,562. ACCESSORIES - 1/48: Cutting Edge CEBM48417 black magic mask. BOOKS - Notiziario CMPR 1/1989,2/1989, 2/1990,3/1990. AB 212 KIT - 1/72 injection: Astrokit 72102, 72106. Italeri 088. Revell 4432. 1/48 injection: Italeri 847, 2692. Revell 4429. 1/35: Panda Models. ACCESSORIES - 1/48: Cutting Edge CEC48007 resin minigun, 48033 resin cockpit. Eduard 48235 p.etched set. DECALS - 1/72: Tauromodel 72-542, 549. 1/48: Tauromodel 48-546. BOOKS - Aerei Modellismo(12/1983). Ali in Miniatura 11. Aviazione dell'Esercito(Riv.Militare). Squadron in action 75. IBN 1976-96 Vent'anni di Aeronautica Militare vol.1. AB 412 KIT - 1/72 injection: Astrokit 72104, 72105. Italeri 084, 1361, 6806. Revell 4461. ACCESSORIES - 1/72: Eduard 72269 p.etched set. 1/48: Belcher Bits BB8 resin conv. BOOKS - Aeronautica e Difesa 1/2001. Squadron in action 75. AMX KIT - 1/72 short run: Aeroclub K018. 1/72 resin: Cunarmodel CM007,009,7203,7204. Warrior 7201. 1/48 plastic: Kinetic K48026, resin: Warrior 4810. DECALS - 1/72: Italiankits 72005. Model Art 72028. Tauromodel 72-501, 515, 540. 1/48: Italiankits 48003. BOOKS - Aerei n.2/2001. Aeronautica&Difesa 177(75°anniv.2°St.). Edizioni Monografie Verona Villafranca. Monografia Amx(Edai). Aviation Collectables Company Amx Ghibli. Hughes OH-6 KIT - 1/72 injection: Italeri 028. Sword 73023. 1/48 injection: Academy 1643. Astrokit 102. 1/32 injection: Hobbycraft 2109. Revell 4494. 1/35 injection: Dragon 3310. 1/24 injection: Hobbycraft 2701. ACCESSORIES - 1/72: Airwaves 72125, Eduard 72058 p.etched sets. 1/48: Airwaves 4836, Cutting Edge CEBM48392 black magic mask, Eduard 48031 p.etched sets. 1/35: Eduard 35123 p.etched set. DECALS - 1/72: Tauromodel 72-557. 1/48: Tauromodel 48-515,546. 1/32: Tauromodel 32-512. BOOKS - Aerei Modellismo(4/1984). Aeronautica e Difesa 1/2001. IBN Aviolibri 2. IBN 1976-96:Vent'anni di Aeronautica Militare vol.1. Skymodel nr 4. Squadron in action 1014. WWP vol.6. Breguet Atlantic KIT - 1/200 injection: Heller 79842. 1/72 injection: Mach 2 MCH002. Revell 4329, 4384. DECALS - 1/72 Italian Kits 72001. Model Art MA7211. BOOKS - Airkit News 19. Docavia vol.6. Edizioni Monografie Catania Sigonella. IBN 1976-96:Vent'anni di Aeronautica Militare vol.1. La Vitrine du Maquettiste n.36. Monografie Aeronautiche Italiane n.22. Replic 4. Rivista Aeronautica 6/1998. Scale Aircraft Modelling Feb.2003. 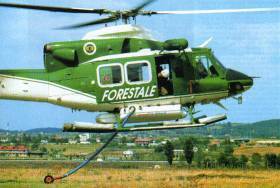 Canadair 215, 415 KIT - 1/72 injection: Heller 80373, 80374. Italeri 1362 (C.415). DECALS - 1/72: Italian Kits 72002. CH-47 Chinook KIT - 1/700 resin: White Ensign AS7030. 1/144 injection: Revell 4043. 1/72 injection: Airfix 5030(ex Matchbox). Italeri 064. Matchbox 40413. Revell 4413. Trumpeter 1622.1/48 injection Italeri 2672. Revell 4641. 1/35 injection: Trumpeter 5105. ACCESSORIES - 1/72: Airwaves 7212 p.etched set. Eduard 72167, 72208, 72490 p.etched sets. 1/48 Eduard 48600, 48601. DECALS - 1/72: Tauromodel 72-537. BOOKS - Aerofax Minigraph 27. Aviazione dell'Esercito(Riv.Militare). Squadron in action 1091. Curtiss SB2C-5 Helldiver KIT - 1/72: Academy 12406 (SB2C-4). ACCESSORIES -1/72: ItalianKitsWings IKW7209, 7210 SB2C-5 conversion sets. Eduard 72454 flaps. DECALS - 1/72: Tauromodel 72538. BOOKS - Aerei nella Storia 22. Aerofan nr 59. Not.Cmpr 23. Detail&Scale. Dtu SBD-5 Dauntless & SB2C-5 Helldiver. D.H.100/113 & NF.10 Vampire KIT - 1/72 injection: Aeroclub K05, K06. Airfix 3064(ex Heller), Revell 3993, A Model. Cyberhobby. Frog F217. Eastern Express EE7225(ex Frog). Heller 80283. Revell. 1/48 injection: Aeroclub K424, K434. Hobbycraft HC1573. ACCESSORIES -1/72: Eduard 72129 p.etched set. 1/48: Eduard 48064, 066, 095 p.etched sets. Reheat RH066 p.etched set. DECALS - 1/72: Italian Kits 72009. Tauromodel 72-507, 527. 1/48: Italian Kits 48009. BOOKS - Aerei Modellismo(6/1980, 5/1984). Aerofan(1/1983,4/1986). Dimensione Cielo vol.16. Notiziario CMPR 2/1994, 4/1994. Scale Aviation Modeller vol.7 n.4. Warpaint 27. Ibn monografia 7.Aerofan special 5 Vampire italiani. Douglas DC.3 KIT - 1/72 injection: Airfix A8014. Italeri 127. Esci 7009. 1/48: Monogram 5610. Revell 4697. Trumpeter 2828. ACCESSORIES - 1/72 Eduard 72252, BIG7249, CX009 mask. 1/48 Eduard 48607, 48609, BIG4911. BOOKS - Replic 121. Vent'anni di Aeronautica militare 1976-96(Ibn). Douglas DC.6 KIT - 1/144 injection: Academy 4442. 1/72 injection: Heller 315. BOOKS - Aerofan 67. Air Enthusiast 67. Vent'anni di Aeronautica militare 1976-96(Ibn). EH-101 KIT - 1/72 injection: Italeri IT1219, 1295. Revell 4410. 1/48: Airfix 14101. ACCESSORIES - 1/72: Eduard 72407, XS190 mask. BOOKS - Airkit news 17. Replic 138. EF-2000 KIT - 1/144 injection: Revell 4074. 1/72 injection: Airfix 4036. Italeri 042,099. Revell 4317, 4338, 4621. Hobbyboss 80264, 80265.1/48 injection: Italeri 862, 2610. Revell 4551, 4568. 1/32 injection: Trumpeter 2278,2279. Revell 4783. ACCESSORIES - 1/72: Eduard SS154, 73289,73313 p.etched set. 1/48: Eduard 48353, 48376, 48657, 49341, 49367 p.etched set, Zoom FE341, 367, XF093, XF144 mask, Airwaves 48097 ej.seat. DECALS - Alitaliane 72001, 48001. BOOKS - Aerei 3/2001. Aerofax. Rivista Aeronautica 2/2000. Airkit News 20. Ibn Skywing Press. Coccarde tricolori special 3. Mark 1 dozen set c&m vol.6(book+decals). F-16 KIT - 1/72 injection: Airfix 4025. Fujimi 24003. Hasegawa B1. Italeri 1204,1337. Revell 4612. 1/48 injection: Academy 1688. Hasegawa V1. Italeri 2654,2694. 1/32 injection: Hasegawa S25, S26. ACCESSORIES - 1/72: Aires resin 7051 Aces II. Alitaliane 72013, 014. Cmk resin 7003 jet intake. Eduard 72148, 311, SS151, XS217 mask. 1/48 resin: ItalianKitsWings IKW4810. Aires 4191 cockpit(Has), 4194 wheel bay, 4196 radome. Alitaliane 48002. Cmk resin 4116 armament, 4117 interiors.Eduard 48039, 48391, 48474 ladder, XF031 mask, 648006,016 brassin. 1/32: Eduard 32052, 517. DECALS - 1/72: Italian Kits 72001. 1/48: Italian Kits 48001. BOOKS - Airkit news 13. Notiziario Cmpr 4/86:1/87. Replic 123. Rivista Aeronautica 3/2003. Verlinden Lock on 2. HT Model Special 906. Aviation Collectables Company F-16A. F-35 Lightning II KIT - 1/72 injection: Academy 12507. Italeri 1331. Hasegawa E42. Fujimi 72224. 1/48: Kitty Hawk 80102. ACCESSORIES - 1/72: Eduard SS497,72571,73489, CX347 mask. 1/48 Eduard 48792,49442,49653,EX377 mask. DECALS - 1/72 Caracal 72008. 1/48 Caracal 48049. BOOKS - F-35 Lightning II Torque books. F-35 E-forlag. F/RF-84 F Thunderstreak KIT - 1/144 injection: Aeroclub K602,K603. 1/72 injection: Airfix 3022. Italeri 107. Revell 4372(ex Italeri). Testors 942. 1/72 resin: PJ Production 72021(F), 72023(RF). 1/48 injection: Heller 80417. Italeri 2682,2703. Monogram 5437. Kinetic 4801(F). 1/32 vacuform: ID Models ID3255, 3256. ACCESSORIES - 1/72: Airwaves 72191 p.etched set. 1/48: Airwaves 4861 p.etched airbrakes. Reheat RH094, 096 p.etched sets. DECALS - 1/72: Superscale 72-328. Tauromodel 72-514,526,527,541,543. 1/48: Superscale 48-112. Tauromodel 48-526, 528,532, 535,536,540,547. BOOKS - F40 Profiles 1,2. Monografie Aeronautiche Italiane n.16,34. Republic F-84 a photo chronicle(Schiffer). Scale Aviation Modeller Feb.2003. Thunders Tuoni nel Cielo Fotoalbum n.1(N.Malizia). F-84 G Thunderjet KIT - 1/72 injection: Academy 1617. Heller 80278. KP Kopro KO4107, 4108, 4109, 4110. Tamiya 60745. Hobbyboss 80246. 1/48 injection: Battleaxe 48BA01. Revell 4534, 4553. Tamiya 61060,61077. Vacuform: Karo-as KA4816. 1/32 vacuform: ID Models ID3216. ACCESSORIES - 1/72: Aires 7058 resin cockpit,7062 whelle bay,7066 gun bay. Airwaves 72105 p.etched set. CMK 7033 resin interior, 7034 armament, 7035 u/c set. Eduard 72316,346 p.etched sets, XS029,078 masks. Part 72-143. 1/48: Aires 4071 resin cockpit, 4075 wheel bay, 4084 gun bay, 4096 complete set. CMK 4023 resin cockpit. Eduard 48316 p.etched set, XF034 mask. Verlinden 1536 resin set. DECALS - 1/72: Tauromodel 72-506,514,527,541,543. 1/48: Tauromodel 48-526, 528, 536,540,547. BOOKS - Aerofan 51/52(1989). Detail&Scale 59. Monografie Aeronautiche Italiane n.30. Notiziario IPMS 1/1982. Replic 64, 83, 96. Republic F-84 a photo chronicle(Schiffer). Squadron in action 1061. Thunders Tuoni nel Cielo Fotoalbum n.1(N.Malizia). F-86E/F Sabre KIT - 1/144 injection: Aeroclub K601. Trumpeter 1321. 1/72 injection: Academy 1629. Airfix A3083. Fujimi 25018, 25019. Hasegawa 0010. Heller 80277. Hobbycraft HC1361, 1383, 1390. Italeri 1297(PAN). Hobbyboss 80259.Matchbox 40028. PM Model 208. 1/48 injection: Academy 2162. Hasegawa PT13, PT14. 1/32 injection: Hasegawa ST10. Kinetic 32001. Italeri 2503. ACCESSORIES - 1/72: Aeroclub EJ025 metal seat. Airwaves resin conv. F-86E. 1/48: Aires 4022 resin cockpit. Airwaves AES48078 resin slated wing F-86E conv. Dolphin D005 metal engine J47. Eduard 48185, masks. Jaguar 64806, 807 resin sets. KMC 48-5057 resin c.surfaces,5058 intake, 5059 eject seats,6005 resin cockpit. Reheat RH097 p.etched set. Teknics TK4851 metal landing gear, TK4852 detail set. True details 48087, 090 resin wheels, 48470 resin cockpit, 41023 frames. Verlinden 1232 resin set. 1/32: Eduard 32027, 028 p.etched sets. Reheat RH020 resin pilot. DECALS - 1/72: Cutting Edge CED72025. Superscale 72-425. Tauromodel 72-512,515, 524, 526,527. 1/48: Cutting Edge CED48023. Superscale 48-027. Tauromodel 48-511, 517, 519, 530. 1/32: Tauromodel 32-502, 503,506,507,516,520,522. BOOKS - Crowood Aviation Series. Faow 20. F40 Profiles 10,12. Kokufan Illustrated vol.86. Monografie Aeronautiche Italiane n.10.Not.Cmpr 28. Replic 62. Squadron in action 1126. The Canadair Sabre (L. Milberry). Walkaround 21. Warbird Tech 3. F-86K KIT - 1/72: Special Hobby 72146. Tauromodel resin kit. 1/48: Revell 4556 F-86D + Italian Kits 4802 F-86K resin conv.. ACCESSORIES - 1/72: Aeroclub EJ025 metal seat. Alitaliane wings. Eduard 72215 p.etched set, XS049 mask. 1/48: Dolphin D005 metal engine J47. Eduard 257, 274 p.etched sets. BOOKS - Crowood Aviation Series. F40 Profiles 17. Kokufan Illustrated vol.86. Model Aircraft Montly Feb.2003. North American F-86K (N.Malizia/Documenti Ateneo vol.12). Notiziario Modellistico GMT 3/02,1/03. GMT I caccia italiani della serie 80. Gli aerei Squadron in action 1126. Ibn monografia 3. Aviation Collectables Company F-86K. Fairchild C.119 Boxcar KIT - 1/76 injection: Aurora. 1/72 injection: Italeri 146. 1/48 vacuform: Combat Models. DECALS - 1/72: Tauromodel 72-540. BOOKS - Aerei Modellismo 11/1980. Ali in Miniatura nr 3. C-119 un'epoca nel trasporto aereo(Edai). Dimensione Cielo vol.15. Monografie Aeronautiche Italiane n.3. ScaleWings 6. Vent'anni di Aeronautica militare 1976-96(Ibn). Fiat G.46 KIT - 1/72 resin: Berruto/Sign 7201. DECALS - 1/72: Skymodels SKY012. BOOKS - Aerofan 47(1989). Notiziario Ipms-Italy 3-4/1995, 2/1996, 3-4/1996, 3-4/1998. Fiat G.59 KIT - 1/72 resin: ItKitsWings IKW7214 conv. Cunarmodel CM002. 1/48 resin: Italian Kits Wings IKW4815, 4816 conv. RCR 009, 010. ACCESSORIES - 1/72: Aeroclub E054 Merlin metal engine. Aires 7015 resin engine. 1/48: KMC 5008 resin engine. DECALS - 1/72 Tauromodel 72-527. 1/48: 48-506. BOOKS - Aerofan(4/1984). Il Fiat G.59 Storia di un addestratore(N.Malizia/Ateneo1982). Notiziario IPMS-Italy 3/1976, 2/1980.Ibn Fiat G59. Fiat G.80/82 KIT - 1/72 resin: Cunarmodel CM7218 G.82,CM7220 G80. BOOKS - Aerofan 68. Ali in Miniatura 21. 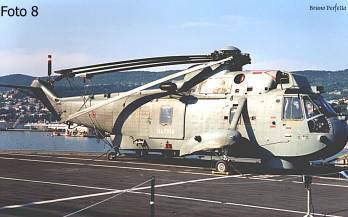 Notiziario Ipms-Italy 2/1997. Fiat G 91R KIT - 1/100 injection: Tamiya 61610. 1/72 injection: Airfix 1026,1084. Revell 4370. Italeri 1297(PAN). Vacuform/short run: Aeroclub K15. 1/48 injection: Esci 4027, 4028. Ocidental 0203. Italeri 2645. Resin: PD Models(1994). 1/50 injection: Artiplast(1969). Heller(1974). ACCESSORIES - 1/72: Eduard SS167 etched set, XS116 mask. PP Aeroparts metal ladder. RCR etched S07. 1/48: Cutting Edge CEBM48429 black magic mask. Eduard XF147 mask. DECALS - 1/72: Tauromodel: 72-501,502,507,509,515,518,523,524. 1/48: Tauromodel 48-504,506,508,510,511,517,519,520,522,530. BOOKS - Aerei Modellismo n.2(3/1980), n.6-7(7-8/1980), n.10(1985). Aircraft 69 DeAgostini. Air Enthusiasts 65,66. Airfan 69. Airkit 3. Ali in miniatura 19. F40 Profile 36. JP4(3,4,5/1978). Monografia G91(Delta Ed.). Notiziario IPMS-Italy 1/1984. Replic 109,119. IBN 1976-96 Vent'anni di Aeronautica Militare vol.2.Warpaint 48. Fiat G 91T KIT - 1/72 Vacuform/short run: Aeroclub K16. Resin: Cunarmodel CM7205. 1/48 Resin: PD Models(1994). ACCESSORIES - 1/72: Italian Kits D7204 MB mk4 seat. Airmodel AM104 vacuform conv.G.91T. PP Aeroparts metal ladder. RCR etched S07. BOOKS - Aerei Modellismo n.2(3/1980), n.6-7(7-8/1980), n.10(1985). Aircraft 69 DeAgostini. Air Enthusiasts 65,66. Airfan 69. Airkit 3. Ali in miniatura 19. F40 Profile 36. JP4(3,4,5/1978). Monografia G91(Delta Ed.). Notiziario IPMS-Italy 1/1984. Replic 109,119. IBN 1976-96 Vent'anni di Aeronautica Militare vol.2.Not.Cmpr 4/05. Warpaint 48. Fiat G 91Y KIT - 1/72 injection: Matchbox 40034. 1/72 Resin: Cunarmodel CM7213. 1/48 Resin: PD Models(1994). ADG Model 48002. ACCESSORIES - 1/72: PP Aeroparts metal ladder. RCR etched S08. BOOKS - Aerei Modellismo n.2(3/1980), n.6-7(7-8/1980), n.10(1985). Aircraft 69 DeAgostini. Air Enthusiasts 65,66. Airfan 69. Airkit 3. Ali in miniatura 19. JP4(3,4,5/1978). Monografia G91(Delta Ed.). Notiziario IPMS-Italy 1/1984. Replic 109,119. IBN 1976-96 Vent'anni di Aeronautica Militare vol.2.Warpaint 48. Fiat G 222 KIT - 1/72 plastic Italeri 1311, 1284 C27J. Resin: Skymodels SKY002. BOOKS - Aerei n.3/1979,6/1983,11/1984,2/2001. Aeronautica&Difesa 133. Monografie Aeronautiche Italiane n.18. Vent'anni di Aeronautica militare 1976-96(Ibn). Grumman HU-16 Albatros KIT - 1/72 injection: Monogram. 1/48 Trumpeter 2821-I. BOOKS - Aerofan 54(1990). Modeltime 60. Aviation Collectables Company G222. Grumman S2F Tracker KIT - 1/700 injection: Skywave SWS10. Resin: White Ensign AS7027. 1/72 injection: Hasegawa K1. Hobbycraft HC1350. Revell 4629(ex Hasegawa). 1/48 Kinetic. ACCESSORIES - 1/72: Eduard 72267, 268 p.etched sets, XS206 mask. Falcon CV004 clearvax. DECALS - 1/72: Tauromodel 72-538, 541, 548. BOOKS - Aerei Modellismo(2/1982). Airkit 5. Dimensione Cielo vol.12(Ateneo&Bizzarri 1978). Notiziario IPMS-Italy 3/1976.Squadron in action 1100. IBN 1976-96 Vent'anni di Aeronautica Militare vol.1. Harrier AV-8B KIT - 1/144 injection: Revell 4025. 1/72: Hasegawa 00449, D19, D24 (plus). Italeri 172, 183, 193. 1/48 injection: Hasegawa PT28. Revell Monogram 5448. 1/32 injection: Trumpeter 2286. ACCESSORIES - 1/72: Eduard 72068,082,263,356 p.etched sets, XS118 mask. 1/48: Aires resin 4199, 4201. Amraam Line 48101 resin conv. Black Box 48018 resin cockpit. C&H Aero Miniatures TAV-8B resin conv. Cutting Edge BM48421 Black Magic mask. Eduard p.etched set 48046, 48477, XF225 mask. Italian Kits 4801 plus conv.+ decals. DECALS - 1/72: Modelfriends MF7201. Tauromodel 72-531. 1/48: Modelfriends MF4801. Tauromodel 48-544. BOOKS - Aeroguide 16. Ali della Marina(Publimodel). Crowood Aviation series 6. ScaleWings 4. Squadron in action 1058. Replic 125. Tutto Modellismo 23. L-19 Birdog KIT - 1/72 injection: Airfix 1058. 1/48 injection: Hasegawa. Model Usa M01. ACCESSORIES - 1/72: Airwaves 72138 p.etched set. 1/48: Eduard 48040 p.etched set. BOOKS - Aerei Modellismo(6/1985). Airfan 8/1981. Replic 12. Squadron in action 1087. Lockheed C-130 Hercules KIT - 1/700 injection: Skywave SWS7. 1/144 injection: Matchbox 4420. 1/72: Airfix 9003. Esci 9102. Italeri 015. Heller 385. 1/48: Italeri 843. ACCESSORIES - 1/72: Eduard 72243,72246,72461,72470 p.etched sets, BIG7235, XS215 mask. Flightpath p.etched set. 1/48: Flightpath p.etched set. DECALS - 1/72: Tauromodel 72-538, 543, 548. 1/48: 48-529, 536, 549. BOOKS - Crowood Aviation series 21. Lock on vol.3. Lockheed C-130 Hercules and its variants(C.Reed). Squadron in action 1047. Vent'anni di Aeronautica militare 1976-96(Ibn). Aviation Collectables Company C-130J. Lockheed F-104 G/S Starfighter KIT - 1/700 injection: Skywave SWS10. 1/144 injection: Academy 4429. 1/72 injection: Academy 1619. Airfix 00106. Amt/Ertl 8759. Hasegawa DT17, DT18, 0256, 0875(TF). Gartex w.resin and showcase. Italeri 1223. Matchbox 40040. Revell 4344,4378. 1/48 injection: Hasegawa PT20(G), PT40(TF), 9402(S) 9731(S), 9756(TF). 1/32 injection: Hasegawa ST11. Revell 4750. Italeri 2502. ACCESSORIES - 1/72 injection: Daco 7205 pod Orpheus. Hasegawa X72-1,3,9 weapons, 7 pilots. 1/72 resin CMK 7056,7057. HighFlight HF7208 afterburner. P.etched: Eduard 72111,114,115,239. XS044 mask, XS540 panel mask. ExtraTech 72077, 078. Resin: Verlinden 489,567. 1/48 injection: Daco 4805 pod Orpheus. Hasegawa X48-3 weapons,5 pilots. 1/48 resin: Aires 4098, 4100, 4103, 4107. Black Box 48006 resin cockpit. C.Edge CED48251, 256, 257, 266, 267, 284 Canopy demisters & open drogue chute door. CMK 4098,4099. HighFlight HF4813 afterburner. P.etched: Eduard 48198, 48343, 48368, FE158, XF073 mask. Verlinden VL1637 resin details. 1/32: Eduard 32057, 060 p.etched sets, XL017 mask. Kmc 32-5004 resin cockpit, 5005 avionics, 5006 fuel tanks, 5007 Sidewinder rails, 5008 gun bay. PJ Production 321111 ladder. Puchala BW310 vacuform TF-104 canopy; BW318 metal GQ7A seat; BW324 p.etched seatbelts. Verlinden 1567 resin detail set. DECALS - 1/72: C.Edge CED72042. Modeldecal 85. Tauromodel 72-502, 507, 509, 515, 518, 523, 531, 533, 555, 559, 560, 561, 568, 572. 1/48: C.Edge CED48042. Tauromodel 48-504, 505, 506, 508, 510, 511, 519, 520, 522, 529, 534, 545, 548, 553. 1/32: C.Edge CED32011. Tauromodel 32-501, 502, 504, 506, 507, 516, 521, 524, 530, 531, 533. BOOKS - Aerei new ed. nr.3, 11. Aerei Modellismo n.4(5/1980). Aeronautica e Difesa 5/2001. Aircraft Review n.36. ScaleWings 7. Ali in Miniatura nr 2. Crowood Aviation series. Detail&Scale 38. Faow 93. F-104 Starfighter(Delta Ed.). Flugzeug F40 Profile n.24. Kokufan illustrated 101. Lock on vol.1. 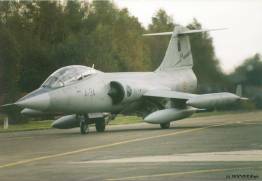 Monografia F-104(Edai). Monografie Aeronautiche Italiane n.1006. Replic 56, 100. Squadron in action 1135. Tutto modellismo 37. IBN 1976-96 Vent'anni di Aeronautica Militare vol.2. Not.Gmt 2/07. Ibn Starfighter Colours. IBN Aviolibri 10. Warpaint 43. Coccarde tricolori special 4. NH 90 KIT - 1/72 injection: Revell 4489. BOOKS - Baschi Azzurri l'aviazione dell'Esercito (G.Tonicchi). P-38L/J Lightning KIT - 1/144 injection: Academy 4410. 1/72 injection: Academy 2209. Airfix 2088. Hasegawa DT20. Italeri 032. 1/48 injection: Academy 2126, 2149. Hasegawa JT2. Italeri 2681. Monogram 5479. 1/32 Revell 4749. Trumpeter 2227. ACCESSORIES - 1/72: Aires 7027 resin cockpit, 7046 V-1710. Airwaves 7236 p.etched set. Cmk resin 7090 engine set, 7091, 7092. Eduard 72076,72201, FE111, SS122 p.etched sets, XS025 mask. Squadron 9113 canopy. True Details 72001 resin wheels. 1/48: Aires 4113 resin cockpit. Eduard 48104, 49208, FE111 p.etched sets, XF022, 092 mask. Paragon 4827 F-5E recin conv., 4832 flaps, 4833 gun bay. Reheat RH086 p.etched set. Squadron 9525 canopy. Teknics 4826 resin set. True Details 48007 resin wheels, 48455 cockpit. Verlinden 892 resin detail set. Waldron WR89 cockpit. 1/32: Eduard XL059 mask. Waldron WR97 cockpit. DECALS - 1/72: Carpena 7209. 1/48: Carpena 4892. Tauromodel 48-529. 1/32: Tauromodel 32-529. BOOKS - Aerei nella storia 21. Aerodetail nr 28. Aerofan (3/1982). Airkit News 20. Detail&Scale 8258. Ali in Miniatura nr 5.Dimensione Cielo vol.16(Ateneo 1983). Monografie Aeronautiche Italiane n.49. Replic 35. Squadron in action 1109. Storia Militare 129, 130. Ibn monografia 4. P-47D Thunderbolt KIT - 1/72: Academy 2105, 2174. Hasegawa A8. Jo-Han 102. Revell 4155. 1/48: Academy 2159, 2211. Hasegawa JT40. Tamiya 61090. 1/32: Revell 4722. ACCESSORIES - 1/72: Aires resin 7009 P&W R2800, 7036 cockpit, 7039 detail set, 7052 control surfaces, 7055 wheel bay, 7089 gun bay. Eduard 72038, 73211, FE105, 106 SS108, SS211, XS142 mask. 1/48: Aires 4044 control surfaces, 4059 cockpit, 4077 wheel bay, 4110 detail set, 4135 cockpit, 4136 gun bay. Eduard 48197, 48240, 49226, 49240, FE197, BIG4801 p.etched, XF013 mask. DECALS - 1/72: Italian Kits 72015. Tauromodel 72-527, 548. 1/48: Italian Kits 48011. Tauromodel 48-528, 549. 1/32: Tauromodel 32-529. BOOKS - Aerofan (4/1982). Detail&Scale 8254. Replic 137. Ibn monografia 6. P-51D Mustang KIT - 1/144: Hobbycraft 4417. 1/72: Academy 2132. Airfix 2089,A01004. Hasegawa A012, 009, AP20. Heller 80268. Italeri 6807. Tamiya 60749. 1/48: Fujimi 5824. Hasegawa JT30. Hobbycraft 1516. Monogram 5207. Revell 4512. Tamiya 61040, 089. 1/32: Hasegawa ST5. Tamiya. 1/24: Airfix 14001. Bandai 46782. Trumpeter 2401. ACCESSORIES - 1/72: Aires resin 7013 cockpit, 7015 Merlin, 7074 cockpit, 7076 wheel bay, 7079 detail set. Cmk 7064 interiors. 7065 exteriors. Eduard 72048, 272, 286, 352, 73206, FE109, SS162, XS096,129, 163, 175 mask.1/48: Aires resin 4069 Merlin, 4072 cockpit, 4082 gun bay, 4089 detail set. Eduard 48200, 48339, 49216, XF002 mask. 1/32: Eduard 32010.DECALS - 1/72: Tauromodel 72-527, 548. 1/48: Tauromodel 48-528, 549. 1/32: Tauromodel 32-529. BOOKS - Detail&Scale 8251. Replic 111. Ibn monografia 8. Piaggio P 136 KIT - 1/72 vacuform: Broplan MS-73. DECALS - 1/72: Skymodels SKY012 cockades. BOOKS - Aerofan nr 79. Dimensione Cielo vol.13(Ateneo 1981). Monografie Aeronautiche Italiane n.35. Piaggio P 148 KIT - 1/72 resin: Cunarmodel CM7215. BOOKS - Notiziario Ipms-Italy 3-4/1999. Piaggio P 149 KIT - 1/72 resin: Vami Models. Piaggio P 166 KIT - 1/72 resin: Cunarmodel CM7207 DL3, CM7224 M. Vacuform: Broplan MS-57. BOOKS - Dimensione Cielo vol.15(Ateneo 1981). Modelwings n.15. Monografie Aeronautiche Italiane n.19/20. IBN 1976-96 Vent'anni di Aeronautica Militare vol.1. Piaggio P 180 Avanti KIT - 1/72 resin: Cunarmodel CM7214, CM7216. Plastic: A Model 72301. Vacuform: Contrail. DECALS - 1/72: Italian Kits 72006. BOOKS - Volare Avanti(Piaggio Aero). IBN 1976-96 Vent'anni di Aeronautica Militare vol.1. Piaggio PD 808 KIT - 1/72 resin: Skymodels SKY005. BOOKS - IBN 1976-96 Vent'anni di Aeronautica Militare vol.2. Not.Cmpr 1/1998. L 21 Supercub KIT - 1/72 vacuform Broplan. 1/48 injection: Academy 1611. Hobbycraft HC1580. 1/32 injection Revell 4208. ACCESSORIES - Eduard 4821 p.etched set. DECALS - Skymodels SKY012 cockades. BOOKS - Aerei Modellismo(2/1982). Aerofan 71, 72. Aviazione dell'Esercito(Riv.Militare). F40 Profile 13. Notiziario CMPR 3,4/1993. Piper a legend aloft(Phillips). Predator drone RQ-1 KIT - 1/72 injection Italeri 1279, 1289. BOOKS - Birds of Prey(B.Yenne). SAI Ambrosini S.7 KIT - 1/72 resin: Vami Models.BOOKS - Aerofan(3/1985). Sea King KIT - 1/72 injection: Airfix 3043. Astrokit 72103. Fujimi 31006, 35124. Heller 80334. Revell 4427, 4450. 1/48 injection: Hasegawa PT1,PT2, SP91, SP111. 1/350 resin: White Ensign FD001. 1/400 injection: Arii A241 USN aircraft set. 1/700 iniection: Trumpeter 3438. Resin: White Ensign AS7004. ACCESSORIES - 1/72: Airwaves 7204, 72220 p.etched sets, AES72124 resin sand filter. Extra Tech 72093 p.etched set. Eduard 72256 p.etched set, XS084 mask. 1/48: Airwaves 4848, 104 p.etched sets. Eduard 4878 p.etched set, XF111 mask. Flightpath metal detail set. DECALS - 1/72: Tauromodel 72-537,549. 1/48: Tauromodel 48-561,562. BOOKS - Aeroguide 10. Aeronautica&Difesa 144. Faow 15. Replic 19. Squadron in action 1150. WWP Special Museum Line vol.2. 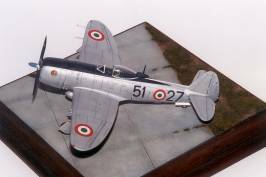 Siai Marchetti SM.1019 KIT - 1/72 resin SEM Model. Dujin. 1/48 resin: ItalianKitsWings IKW4804. ACCESSORIES - 1/72: Vetromodelli resin conv.SM.1019. DECALS - 1/48: inside the box. BOOKS - Manuale di volo. Siai SF 260 KIT - 1/72 resin: Cunarmodel/ItalianKits CM7202, Daco.. 1/48 resin: Skymodels SKY001. Planet 194. BOOKS - Aerei Modellismo 12/1985. Notiziario CMPR 3/1991. Not.IpmsItaly 2/1999. Vent'anni di Aeronautica militare 1976-96(Ibn). Sikorski H-19/S55 KIT - 1/72 injection: Italeri 1206, 1267. 1/48 injection Revell 4410. ACCESSORIES - Eduard 72363 p.etched set. BOOKS - Replic 132. Vent'anni di Aeronautica militare 1976-96(Ibn). Sikorski H-34 Seabat KIT - 1/72 injection: Italeri 6803. Hobbyboss. 1/48 injection Revell 4419. ACCESSORIES - Part 72023, 024. BOOKS - Not.Cmpr 1/1997. Vent'anni di Aeronautica militare 1976-96(Ibn). Spitfire IX KIT - 1/72 injection: Airfix 2081. Hasegawa AP42. Italeri 094. KP Kopro KO3115, 3116. Matchbox 40050. Ventura 208. 1/48 injection: ICM 48069. Monogram 5209. Ocidental 0212. Italeri 2685. 1/32: Pacific Coast PCM32005. Tamiya 32022. ACCESSORIES - 1/72: Airwaves 72176 p.etched set. Eduard 72234, SS180 p.etched set,XS023,152 mask. Extra Tech 72040, 081 p.etched sets. Hawkeye Design HD120 resin prop. Hi Tech 72011 resin interiors. Moskit 72010 metal exhausts. Squadron 9108 canopy. True Details 72018 resin wheels. 1/48: Airwaves 485046,5047 metal uc legs/wheels. Cutting Edge CEC48235,277 resin c.surfaces. Eduard 48277, 279, BIG4804, FE142 p.etched sets, XF097 mask. Hi Tech 48008 resin conv. Part 48-078,081 p.etched sets. True Details 48086 resin wheels. Ultra Cast 48020 seat, 060 exhausts, 061 propeller, 062,063 elevators. 1/32: Paragon 32036 resin conv. DECALS - 1/72: Tauromodel 72-514, 527. 1/48: 48-529. BOOKS - Aero Detail 27. Replic 67,91,115. The Spitfire story(A.Price). WWP vol.26. T-6 Texan KIT - 1/72 injection: Academy 1662. Encore 10128(ex Heller). Testors 610. 1/48 injection: Italeri 2652. Modelcraft 48013. Ocidental O211. Revell 4516(ex Monogram). 1/32 Kitty Hawk 32001. ACCESSORIES - 1/72: Eduard 72149, 305, 306 p.etched sets. XS034 mask. Falcon CV011,030 clearvax. Pavla 72021 resin cockpit. 1/48: Eduard 48248, 252 p.etched sets. XF065 mask. Falcon CV012 clearvax. Hi Tech 48047 resin details. Squadron 9523 canopy. True Details TD48069 resin wheels. DECALS - 1/72: Carpena 7203. Tauromodel 72-514,527,541. 1/48: Tauromodel 48-526, 528, 535, 536, 547, 549. BOOKS - Aerei Modellismo(12/1983). F40 Profile 10. Replic 36, 76. Squadron in action 1094. Warbird Tech 11. T-33 Shooting Star KIT - 1/72 injection: Hasegawa 00171. Heller 80301. Sword 7227. 1/48 injection: Academy 2185. Hobbycraft 1595. Testors 578. 1/32 injection Czech Model 32003. ACCESSORIES - 1/72: Airwaves 72107 p.etched set. Eduard 72145 p.etched set. 1/48: Airwaves 48040 p.etched set. Eduard 48193 p.etched set, XF115 mask. KMC 4008, resin update, 5042, c.surfaces, 5044 jet intake, 6006 cockpit. Reheat RH056,059. True Details TD48088,089 resin wheels, 48402 seat. Verlinden 854 resin detail set. DECALS - 1/72: Tauromodel 72-514,527. 1/48: Tauromodel 48-526, 528, 535. BOOKS - Ali in minatura 22. F40 Profile 4. IBN 1976-96 Vent'anni di Aeronautica Militare vol.2. Ibn monografia 1 N.Malizia. Lockheed T-33 a photo chronicle. Not.Ipms Italy 3-4/1994. Replic 29. Mark 1 dozen set c&m vol.8(book+decals).Aviation Collectables Company T-33A/RT-33A. Tornado KIT - 1/144 injection: Academy 1638, 4431. Dragon 4563. Italeri 879. Matchbox 40057. Revell 4026, 4036, 4040, 4076. 1/100 injection: Revell 6610. 1/72 injection: Airfix 4027, 4035. Esci 9039, 9116. Hasegawa K30. Italeri 071, 171, 179, 6804, 6808, 1291, 1336. Matchbox 40130. Revell 4361, 4375, 4390, 4617, 4619. 1/48 injection: Airfix 8102, 9176. Esci 4083. Heller 80430. Italeri 834, 836, 838, 2668, 2731. Revell 3987,4521. Hobbyboss 80353,354. 1/32 injection: Revell 4673, 4700, 4705. ACCESSORIES - 1/72 injection: Hasegawa X72-1,3,9 weapons. 1/72: Aeroclub V109 metal legs. Aires 7059 resin cockpit. Airwaves 7203, 7213 p.etched sets, SC7228 resin wings, SC7261 resin seats. Eduard 72078, 72297, SS103, SS174 p.etched sets, XS117 mask F3, XS146 mask GR1. Flightpath resin detail set(ex PP Aeroparts). Neomega E12 resin seat. Verlinden VL517 resin set. 1/48: Aeroclub V139 metal legs. Airwaves 4847 p.etched set. Eduard 48091, 092, 341 p.etched sets, XF082 mask. Hasegawa injection X48-3 weapons,5 pilots. Paragon 48001, 004, 007, 008, 009, 010, 011, 020, 021 resin sets. 1/32: Eduard 32034 p.etched set. Flightpath resin/metal detail set. Paragon 32025, 027, 028, 037, 038 resin sets. TAC Scale Dynamics TL32030 resin Mk.10 seats, 32034 interior set. DECALS - 1/72: Tauromodel 72-501,502,507, 509, 512, 548, 556, 560, 571. 1/48: Tauromodel 48-504, 505, 506, 508,513,520,541,549,553,567. 1/32: Tauromodel 32-503, 504, 507,514,519,521,526,532. BOOKS - Aerei 3/2001, 10/2002. Aero Guide 21, 24. Aircraft Review 8. Ali in Miniatura 10. Concord 4016. Crowood Aviation series 23. Flugzeug profile 6. I Big di Aerei:Tornado. IBN 1976-96 Vent'anni di Aeronautica Militare vol.2. Lock on vol.12. Model Aircraft Montly 03/2002. Modelwings n.16. Notiziario CMPR 3/1996. Replic 15, 105. Rivista Aeronautica 2/2001(6°St.). Scale Aircraft Modelling. Squadron in action 1111. Tornado(Delta Ed.) Tornado: multi-role combat aircraft(Midland). HT Model Special 908.Coccarde tricolori special 1. - N.B. : the titles and kits with the year in brackets are out of print.